Kakao Friends Ryan Air Stool is popular among picnic groups. 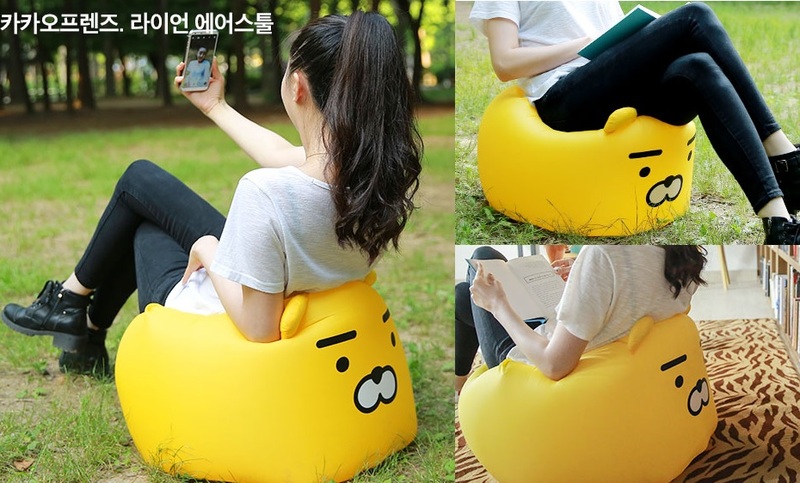 On the 1st, Kakao Makers sell portable air stools with Ryan characters. Kakao Makers said, “The Ryan Air Stool is the first product in the world to be equipped with ‘One Hole Air Tight’ technology, making it easy to carry and space-saving so you can use it as a chair anywhere,”. Air stools are made of special fabrics to prevent cold air on the floor and maintain air for a long time. In addition, it can be used even on the rainy or humid days by using waterproof materials on the outside. So the picnic groups are welcomed as a must for outdoor festivals and camping. This product can be ordered from the online Kakao Makers homepage. The price is 49,000 won and can be ordered until the 13th.